Skulls. What spooky Halloween décor or staging of Hamlet is complete without a skull or two popping up? For ghoulish special effect and/or setting a dramatic scene, skulls are absolutely integral. 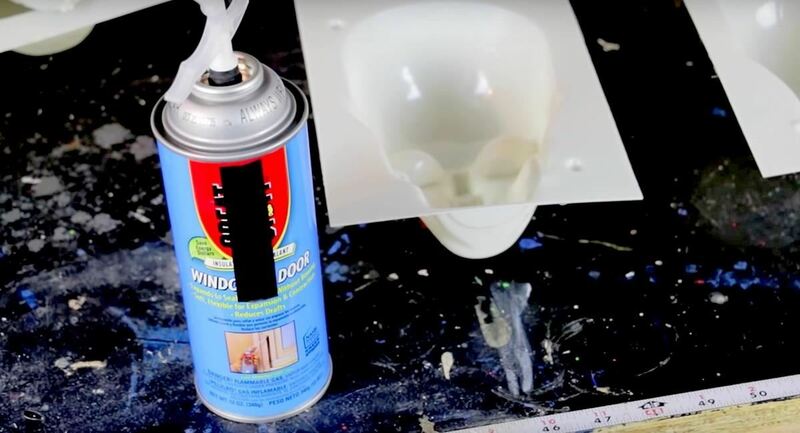 Well, with some artistry, hardware supplies, and a good dose of patience, you can create your own inexpensive prop skulls for use however you please. 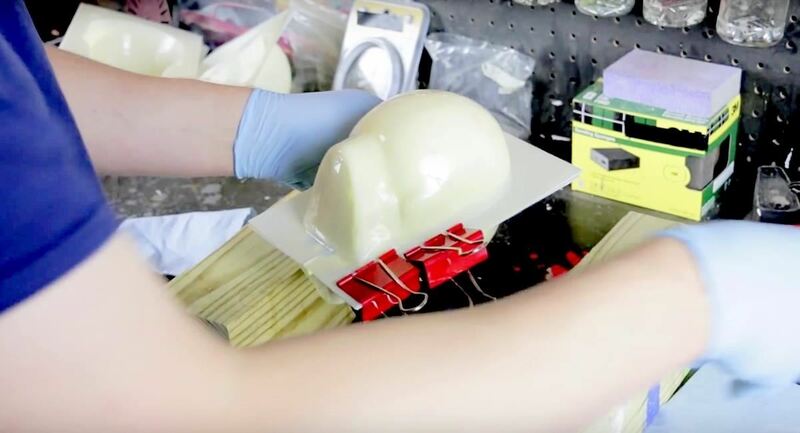 To make DIY prop skulls at home, you'll need two main items: a skull mold and "messy, sticky, and impossible to remove once it cures" expanding foam. We first took a look at this process with the help of YouTuber drkreepy1 a few years back, who warned us not to pop the mold too soon. (We'll try!) 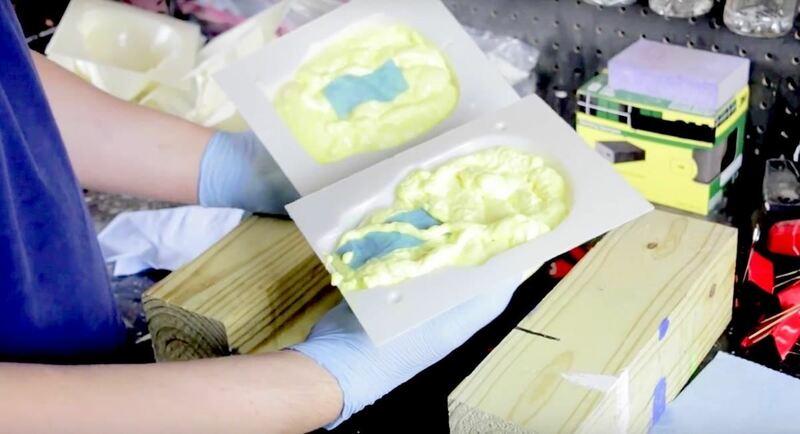 Today, we'll be following along with fellow YouTuber Build It With Bigfoot, who offers a few additional tips for curing the foam as well as removing the sometimes stubborn skulls once the wait is over. 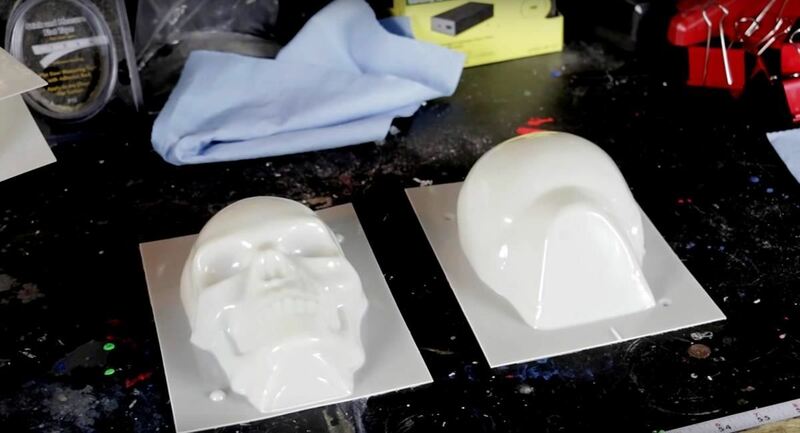 For the mold, you can use a standard candle skull mold, which can easily be found online or from your local arts and crafts store, especially in the autumn time close to All Hallows' Eve. Another option is to cut a hollow plastic skull in half (using a handsaw). Note: When working with tools and chemicals (like those found in insulating spray foam), be sure to follow all safety protocols and use proper safety equipment. 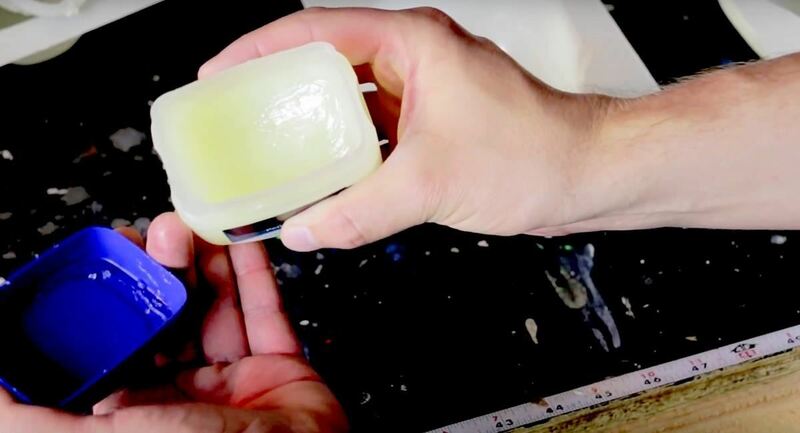 Lubricate the inside of the skull mold with pretroleum jelly. 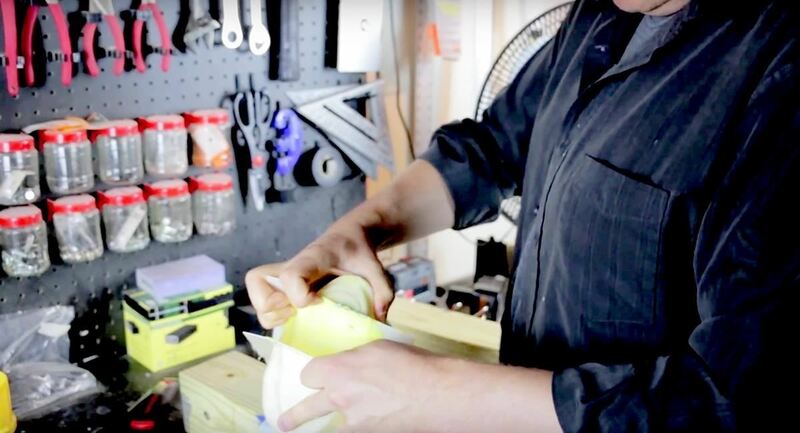 As Build It With Bigfoot notes, "experience has taught us that this step is the single most important part of creating a foam skull using spray foam." Indeed, this step will determine how easily your skull can be removed from the mold. Don't miss the details of the skull mold; make sure every nook and cranny is totally covered with the jelly. Next, cut a paper towel into small strips and then dampen them with water. These strips should not be soaked (to the point of falling apart), just damp. 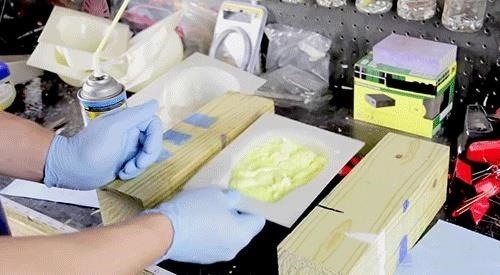 Set these strips aside for the next step: adding the foam. What's going on: These paper towel strips will be layered with the foam. 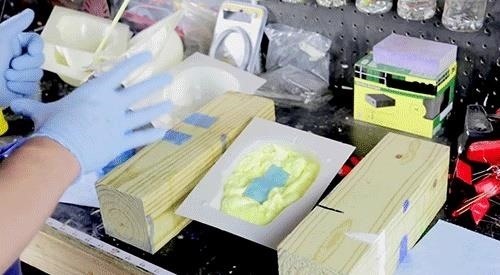 The reason being is that the foam will need the moisture to both expand and cure faster. As The Family Handyman explains in regards to installing foam insulation in a home, "Be careful, though; you want to dampen the area, not wet it. Foam won't stick well to a wet surface." The same principle applies here. That's why the strips are dampened, not soaked. You'll go through each step exactly the same for the other half of the skull mold. Remember to only add the spray foam until the mold is about two-thirds full. Not only will this account for the foam's expansion, but you'll be placing the two halves together for the curing process so you'll want to make sure there's enough room. Once your two halves are ready with 2/3 of foam and two paper towel strips each, you'll carefully press them together, lining them up with their corners. 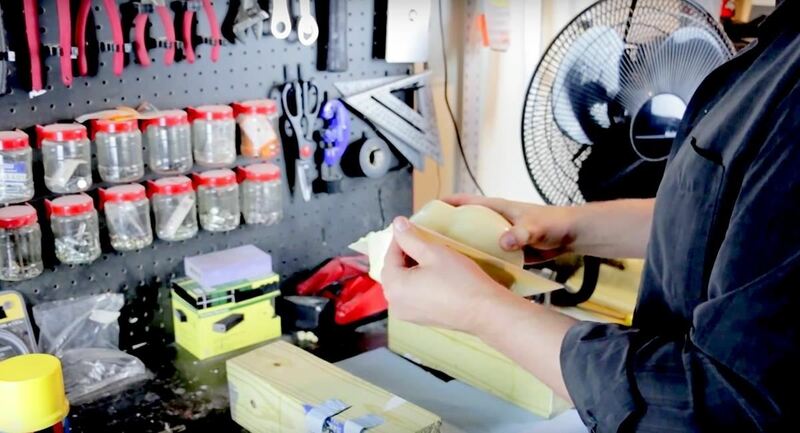 Next, use the binder clips to secure the mold in place. Given that it will be expanding during the curing process, the mold should be sealed all the way around. You don't want the skull to "pop" during the weeklong wait. 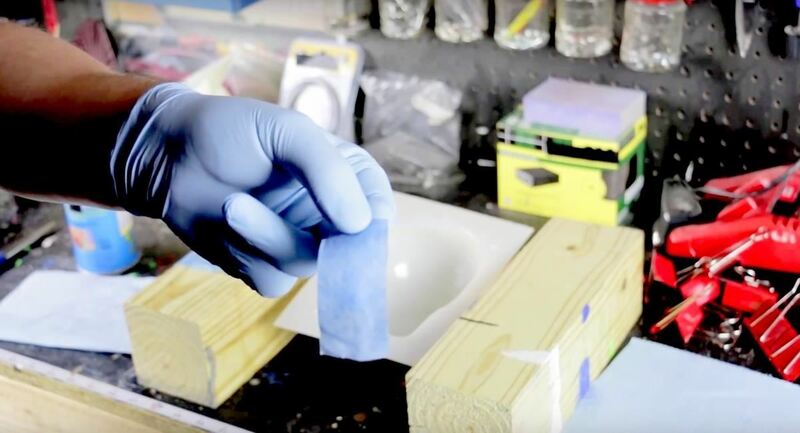 To make sure the mold is correctly cured, you'll need to wait seven days. As Build It With Bigfoot says, this could prove the most difficult part of the project. But just as drkreepy1 advised, don't pop the mold too soon. For a closed mold such as this, it takes about a week for the foam to harden. If you pop it too soon, you could end up with a mess and have to start all over again — and wait even longer. 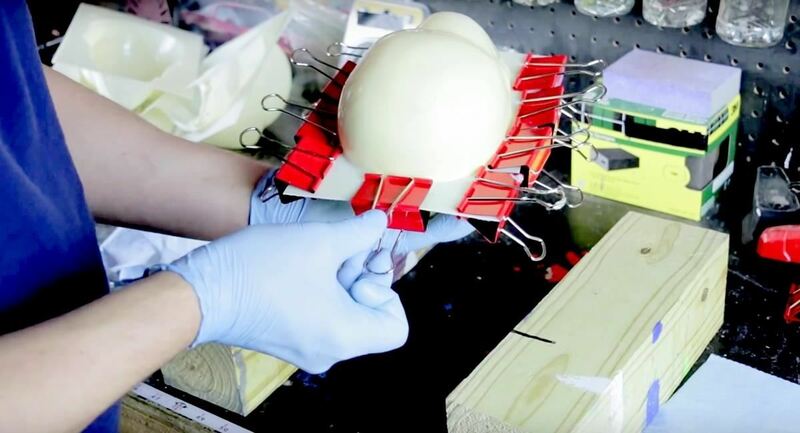 After a week, you can safely open your mold to reveal your prop skull. Now, this part can also prove difficult as the mold is sealed tight. To crack the mold open, use a metal putty scraper. Wedge the scraper between the two halves of the mold and twist. The twisting action will slowly pry the two halves apart. Note: Take care not to break the mold. Once you feel the halves have separated enough, you can try again to pull the skull mold apart. Your prop skull should, with the help of the petroleum jelly from step 1, release from its confines. And now for the artistry. Finish off your prop skull anyway you like. Now hardened, the foam can take sanding, painting, etching, you name it. 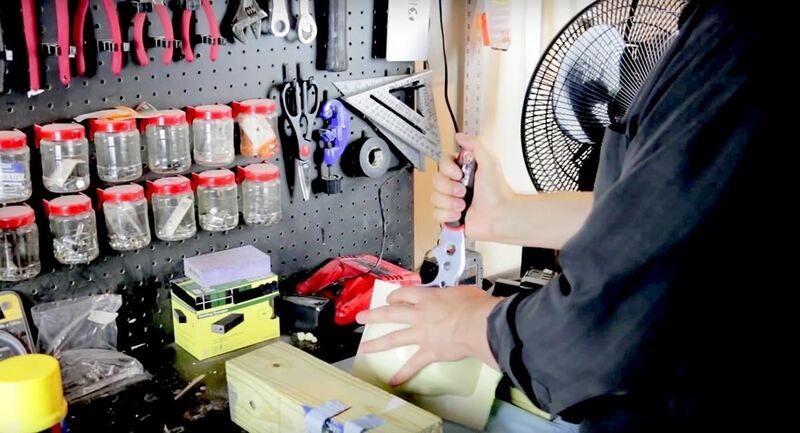 As you can see, making your own prop skulls is a fun, easy project that's perfect for Halloween, your latest/greatest video, prank, or Shakespearean play. Keep in mind the time it takes to complete a skull: one week. Make sure you give yourself enough time to make as many skulls as you need. Note that you can reuse your mold(s). 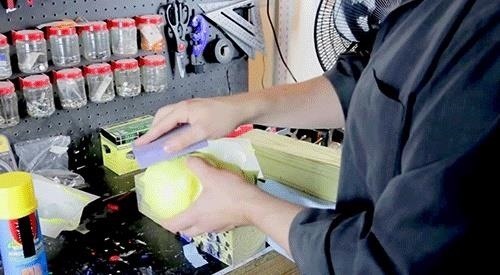 Also, experiment with different types of foam because "different spray foams will yield different results in the molds." Below is one example of a particular spray foam that serendipitously cured twisted ... and pretty creepy-looking, which confirms that when it comes to making skulls, you really can't go wrong.